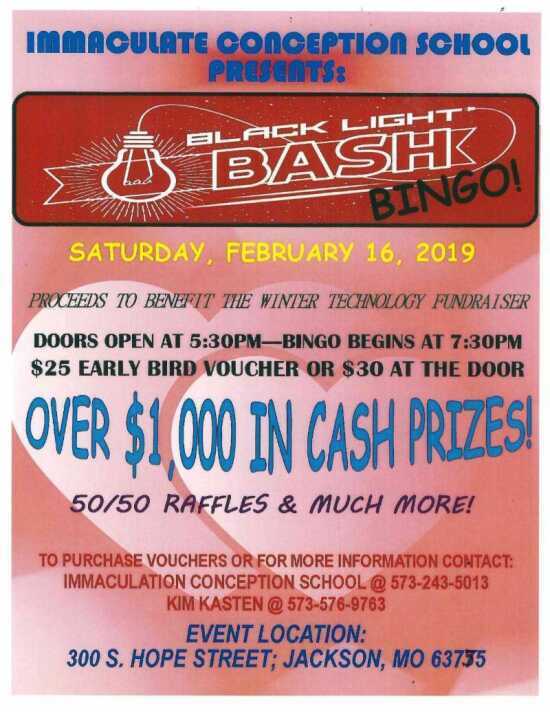 Immaculate Conception School Presents: Black Light Bash Bingo!! Over $1000 in Cash Prizes, 50/50 Raffles & much more! Doors open at 5:30 p.m. Bingo begins at 7:30 p.m.
$25 Early Bird Voucher or $30 at the door.